If you’re ready to try some fun new gadgets, think about adding the these to your running bag! 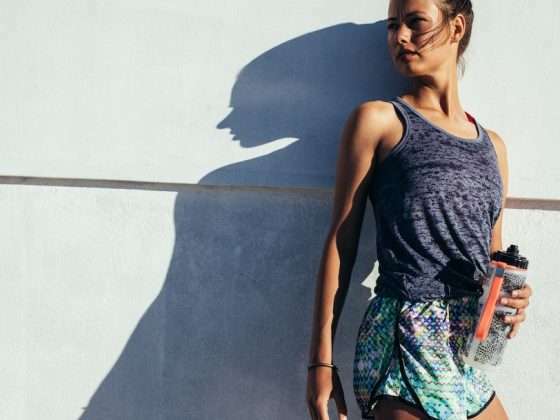 There’s no doubt that runners love their performance gear—and as technology is evolving, runners are reaping the benefits to the tune of: wearable fitness trackers, wireless headphones, running shoe sensors and more. All of these allow you to follow progress, stay on track, and make your runs more comfortable. Runners fall into two categories: those that run with headphones and those that don’t. For the former, wireless headphones are revolutionary. You know the pains of running with the cord bouncing on your chest, making unnecessary noise in your ear, or the worst, falling out every five minutes. Wireless headphones, on the other hand, allow you to listen to your new favorite album or an interesting podcast while never breaking stride. They’re Bluetooth enabled for both hands-free convenience and optimum sound quality. Plus, the lightweight, secure and minimalist design won’t get jostled out of place when you’re in motion. Some of the newer products are even equipped with built-in VO2Max technology, which monitors your heart-rate, endurance level and oxygen intake with just a press of the button. To take your safety to the next level, purchase a pair of wireless headphones from Aftershokz, which are designed to deliver sound without plugging or covering your ear. This allows you to be aware of noises around you, while enjoying your favorite motivational running tunes. 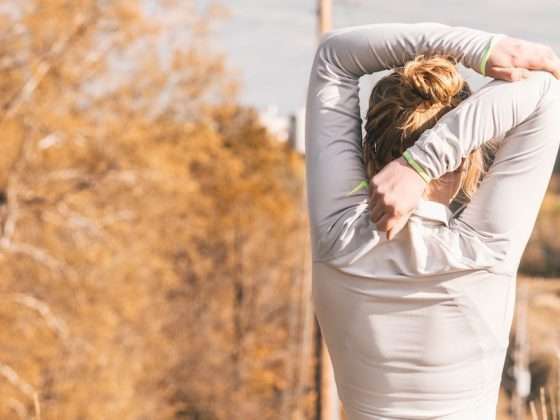 From tracking pace and distance to calories and heart-rate, running is a numbers game, and enthusiasts of the sport enjoy having this information right at their fingertips. This latest trend in fitness has made it nearly effortless to measure the data of your workouts straight from your wrist. Fitness trackers, the best brands of 2017 include Fitbit and Garmin and Apple Watch Nike+, give you access to all kinds of information that allows you to maximize your running performance and learn about where you can make changes and progress. The best part is they can help keep you on track during your run and during the workday: “The easiest way to hold yourself more accountable for exercise is to get an activity tracker. You can also set the tracker to vibrate as a reminder you’ve been sitting for too long, and it’s time to move around,” points out Mandy McClellan, the accessories buyer for Fit2Run. Set the timer to go off three times a day for walks and once for your run, so you can never say, “I just lost track of time!”. If strapping on a wristband isn’t your style, tech-savvy apparel, like high-tech socks, is another versatile and functional option. Brands like Sensoria Fitness make their socks with moisture wicking fabric that’s embedded with textile sensors, ideal for the runner who prefers a low-maintenance alternative to staring at an LED screen. Most of these tech-infused socks also come with a detachable cuff that magnetically adheres to your ankle and pairs with a mobile app to provide real-time audio feedback. This can also monitor speed, distance, calories, altitude, cadence and foot landing. You can turn your average pair of sneakers into a virtual running coach with shoe sensors. One in particular stands out from the crowd: the portable smart shoe pod from Ambiorun. This clip-on device attaches to your shoelaces, records your personal metrics, and converts them into actionable tips thanks to a built-in coaching algorithm. The algorithm uses past training sessions and the status of your current workout to generate the fitness suggestions, making them personal to your needs. In addition, the gadget is customizable, so you can program it to detect your level of intensity and goals for improvement. The sensor also tracks foot rotation and strike patterns to reduce injury risk. When running outside, it’s essential to minimize glare from the sunlight to protect your vision. Advanced lenses from popular brands like Oakley can do just that. Designed for both comfort and accuracy, they expand the line of sight and adjust to different lighting or environments, so you can see the road with enhanced clarity. Most running-specific glasses are also manufactured to increase airflow and contour to the face, so they won’t slide out of place. Don’t miss this list of performance shades from Active.com to find a pair you love. Whether you’re a veteran of the sport or a new runner, your inner tech-junkie will appreciate all the convenient features performance gear has to offer. Use them to track progress, boost motivation, and make every run better than the last. Many runners hit the pavement alone – leaving them feeling uncomfortable and vulnerable. There are some scary statistics about runners being harassed or even attacked while out on the road, in both urban and suburban settings. Fortunately, there are wearable devices that can help put your mind at ease when you lace up and head out. At the touch of a button, the Wearsafe Tag will use the power of your smartphone or smartwatch (Apple or Android) to instantly alert your network of trusted friends and family, providing all the information needed to send help, if needed. Unlike other wearable devices, Wearsafe records real-time audio – allowing responders to hear exactly what’s happening. Sometimes reaching for your phone isn’t an option, and the Tag is a discreet, lightweight solution to get you help when you need it quickly. Jessica Thiefels has been writing and editing for more than 10 years and is now a professional freelancer and consultant. She’s worked with a variety of fitness clients, and has been featured on SHAPE, My Fitness Pal and more.